Roughly half of DMC Ltd’s business is concerned with shipbroking, and this aspect of our activities is primarily focused on the offshore oil and gas market. 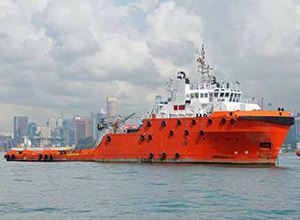 As the company has a core skill and expertise in sub-sea intervention, we also tend to specialise in sub-sea intervention and project support vessels. Our shipbroking services cover both sale & purchase and chartering elements of the business, and in addition to vessels we also cover diving systems and ROV equipment. To date, our shipbroking activities have covered all of the main oil and gas areas of activity, from the North Sea, the Mediterranean, the Caspian Sea, the Red Sea, Persian Gulf, India, SEA, the Americas and West Africa. Our sale & purchase activities also extend to deep diving systems, and over the past few years, DMC have brokered the sale and purchase of numerous complete saturation diving systems, together with numerous component parts. DMC are able to assist clients with asset disposal projects, offering a full range of services from asset inventorying and valuation, market analysis and advice, through to customized marketing and sales strategies. DMC are able to quickly identify and reach the relevant market sectors and implement asset disposal plans via private treaty, sealed bid, auction and liquidation processes. We cover all marine assets, including vessels, diving and ROV systems, cranes and cable-laying, burial and other subsea equipment, and are able to offer fast-track solutions where required to meet the client’s imperatives. DMC disposed of Oceaneering West Coast Africa’s assets as a going concern sale to Nigerian interests. DMC provided valuation and asset disposal strategies and plans for DeepOcean for the disposal of Bluestream assets following bankruptcy. DMC were approached to work with Hilco Industrial in 2015 to dispose of Cal Dive International shore-based marine assets. We conducted a full inventory of their equipment including categorisation and valuations, assisted with lotting and auction preparation, and implemented a fast-track marketing plan to promote the auction and ensure a positive outcome for the client. Vesselweb is an online directory of Project Support Vessels - any vessel that can support an offshore project, topsides or sub-sea, including newbuild vessels, listed by type.